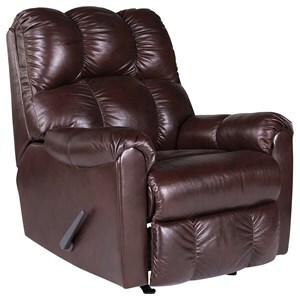 After a long day's work, all you need is a comfortable seat to kick back and relax; Let this Power Rocking Recliner with Power Headrest be your throne of choice. 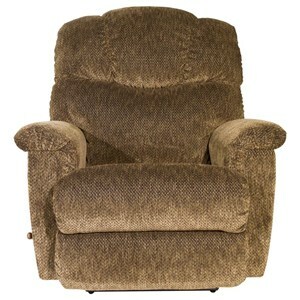 The piece just exudes casual comfort, with generously cushioned pillow arms and seat back. 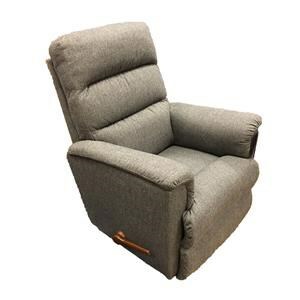 The power recline mechanism lets you easily recline into any position you like and, what's more, a USB port is located on the power button control for some convenient device charging as well. That's not all that's powered; the powered headrest ensures that your neck and noggin receive optimal support at all times. Furthermore, the seat back is removable, making it extremely easy to move it when you need to. 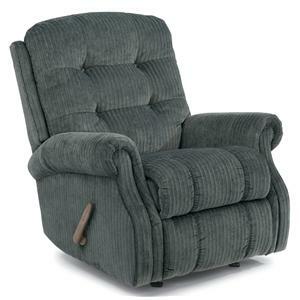 Finally, choose between a wide variety of South Haven fabrics to create the recliner of your dreams. 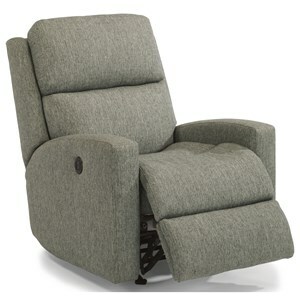 The Magnus Casual Power Rocking Recliner with Power Headrest by Flexsteel at Godby Home Furnishings in the Noblesville, Carmel, Avon, Indianapolis, Indiana area. Product availability may vary. Contact us for the most current availability on this product. Padding & Ergonomics The high-density cushion consists of a high-resiliency, high-density polyurethane foam core. Seat Support Dualflex spring system marries our Blue Ribbon Seat Spring with new, resilient helical coils inserted into a strong, highly durable steel frame. 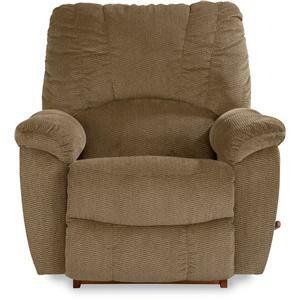 The Magnus Recliner offers plenty of customizable options for every lifestyle. 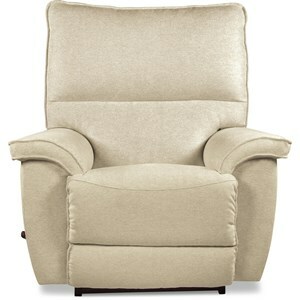 Choose between your standard handle operated recline, or opt for the power mechanism to make reclining smooth and easy. 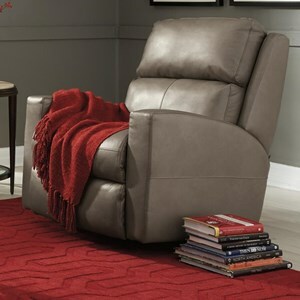 How about adding a power headrest to make your recliner even more comfortable? Don't forget the USB port included on all power options! Finally, the Magnus is available in plenty of different fabrics so matching to your existing furniture and decor will be a breeze. The Magnus collection is a great option if you are looking for Casual furniture in the Noblesville, Carmel, Avon, Indianapolis, Indiana area. Browse other items in the Magnus collection from Godby Home Furnishings in the Noblesville, Carmel, Avon, Indianapolis, Indiana area.